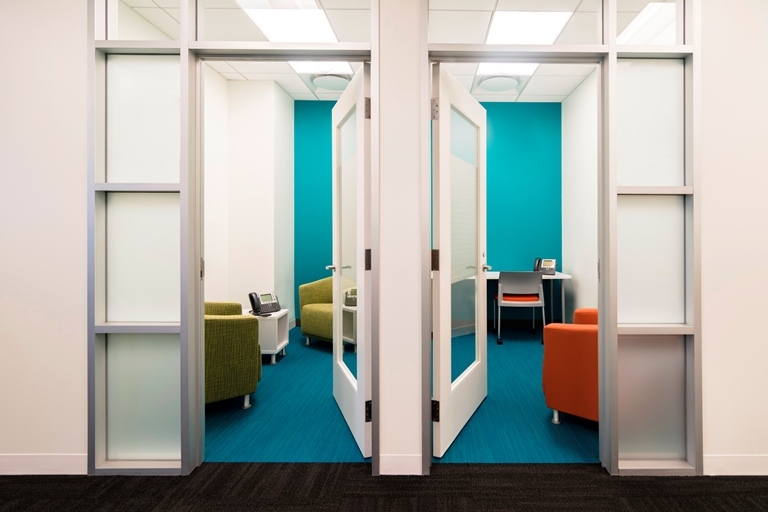 VC was recently hired by Vantiv, a company that provides secure payment processing solutions, to expand and redesign their space to reflect their new branding standards and incorporate a more open office environment. 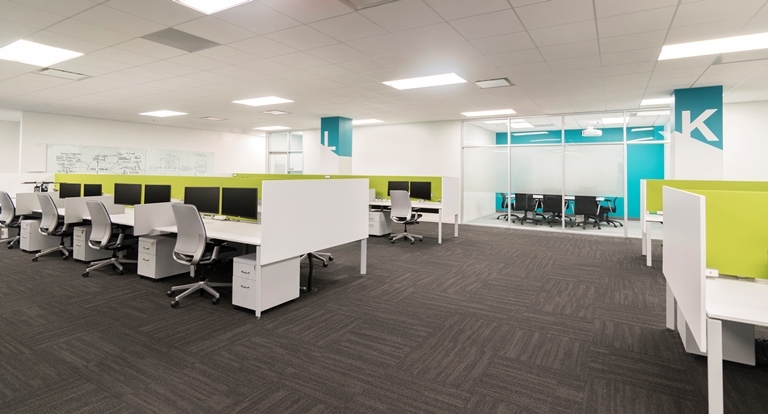 Vantiv wanted to move away from their current corporate norm of the build-out of exterior offices and high paneled workstations. 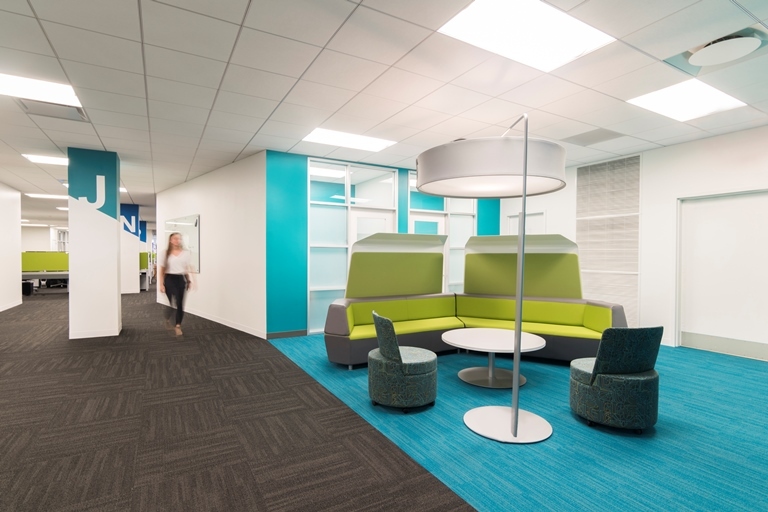 The new design has no personal offices and incorporates an open floor plan concept with low workstations to enhance collaboration and visual connections. Small team rooms and phone rooms, with glass fronts, were scattered amongst their 2-floor space for conference calls and team building. Other amenities include a large kitchen with eat-in area and fitness center with locker rooms. As a wayfinding tool, each column was graphically labeled with a letter and branding color to distinguish different departments. 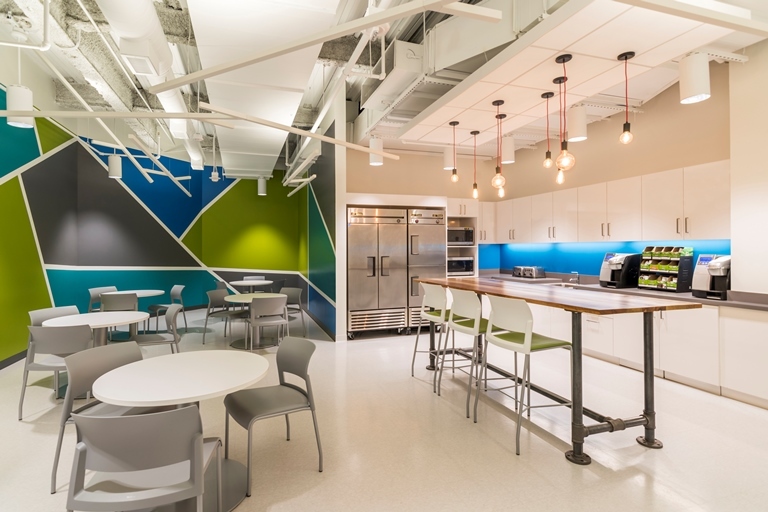 Large painted accent walls and bold graphics reflect Vantiv’s brand throughout and made for an exciting new space for their employees to work. In all, both floors now represent the company’s new standards of a more open and collaborative working environment.